FEAR FESTEviL is pleased to welcome legendary monster suit actor HARUO NAKAJIMA! 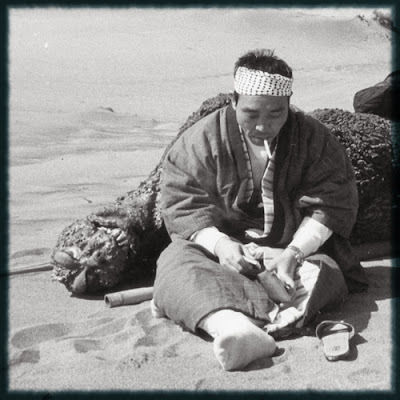 Mr. Nakajima is known the world over for having portrayed the screen’s most famous monster, GODZILLA‐‐a role which he pioneered throughout the first 12 films of Toho’s long‐running science fiction series. It was following the performance of a dangerous stunt as a fighter pilot in Ishiro Honda’s “Eagle of the Pacific” (1953) that Nakajima was recommended to play Godzilla in the original 1954 film, since donning the heavy costume beneath sweltering studio lights required an unusual amount of strength and endurance. Special effects master Eiji Tsuburaya was so impressed by Nakajima’s skill as a stunt performer and choreographer that he featured the actor in nearly every science fiction, horror and fantasy film produced throughout his own illustrious career. In addition to Godzilla, Nakajima would also embody an unprecedented number of notable movie monsters including Rodan (1956), Mogera in The Mysterians (1957), Varan the Unbelievable (1958), Mothra (1960), Matango (1963), Baragon in Frankenstein Conquers the World (1965), Gaira in War of the Gargantuas (1966) and even King Kong in King Kong Escapes (1967). His impressive body of film work also includes appearances in Akira Kurosawa’s Seven Samurai (1954) and The Hidden Fortress (1958). In 1966, Tsuburaya once again tapped Nakajima’s talents when the effects director first brought his monsters to television in the ground‐breaking series Ultra Q and Ultraman. Nakajima finally retired as the reigning Champion of monster suit actors with 1972’s Godzilla vs. Gigan. 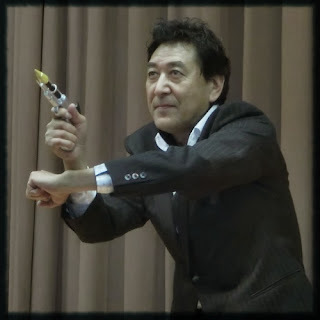 Beginning in 1996, Nakajima made guest appearances at various sci‐fi & horror conventions throughout the United States, Japan, and most recently Germany, where thousands of adoring fans have flocked to meet him. Also in attendance will be legendary Ultraman suit actor Satoshi “Bin” Furuya! Joining us next on the guest list is Satoshi “Bin” Furuya! Furuya portrayed one of the world’s most enduring superheroes in the 1966 sci-fi action television series “Ultraman” from Tsuburaya Productions. In 39 half-hour episodes, audiences thrilled to the enormous red and silver alien’s battles with large monsters in the imaginative program that spawned dozens of sequels. Those sequels continue to this day on both the small and big screens. No stranger to acting outside of a costume, Furuya had a regular role as Ultra Guard Agent Amagi in all 49 episodes of the extremely popular serie “Ultra Seven” (1967). Though he retired from acting during the 1970s, he has made appearances in several genre films as recently as 2008, when he appeared in the 2008 kaiju comedy “The Monster X Strikes Back: Attack the G8 Summit”. FEAR FESTEviL Is slates for Feb 6-8, 2014 at The Regency Ballroom in S.F. California. You can get all the details at the official website www.FearFestEvil.com. Plus you can watch the promotional video below.